For eight years before he began his journey as a recreational marathoner, Mohan Iyer had a toxic habit of eating junk food in front of the TV after stressful days at work as an information technology consultant. After moving his family to Texas from the United Kingdom in 1995, Iyer began suffering from sinus headaches due to allergies, he said. In an effort to get them to stop, he visited a doctor who put him on blood pressure and cholesterol medications. He also tried multiple diets to address his sudden weight gain. But Iyer knew he had to do more than just take medicine — he also had to make major lifestyle changes. It wasn’t until he relocated his family again to California in 2008 that Iyer began to take up an interest in running, determined to get rid of the “couch potato habit” after concern and encouragement from his wife and two sons. “All my allergy issues and sinus headache went away as mysteriously as they started ... and I haven't stopped running since then,” he said. That year, Iyer participated in his first 5k run in Huntington Beach, California, on Super Bowl Sunday, falling in love with the rush of endorphins. 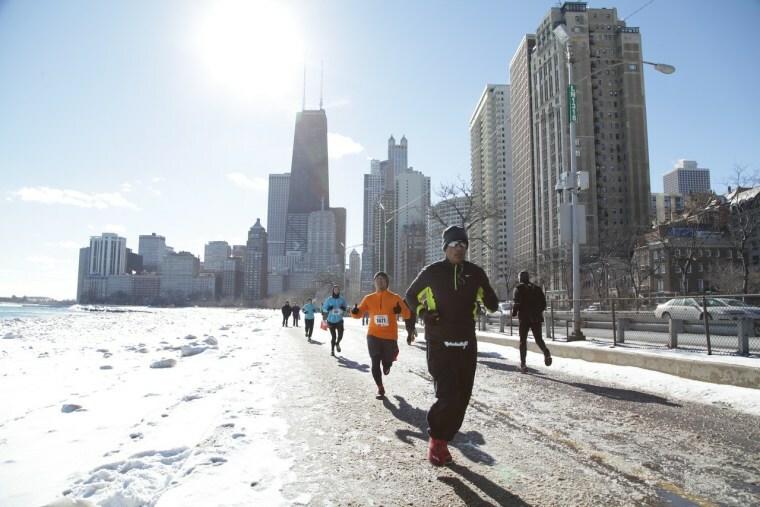 Two years later, Iyer ran his first marathon in Chicago with his family and friends cheering him on. So far, Iyer — who calls himself the “Masala Runner” and documents his travels online — has participated in a total of 135 races and plans to complete his 100th marathon this October in his adopted home state of Illinois. The recreational marathoner said he has run in all 50 states, all 7 continents, and at least 24 countries (his goal is to run in at least 50 countries). Since 2010, Iyer has run at least one marathon per month, he noted. Since posting his marathon journey on social media, Iyer said colleagues and friends in the South Asian community have told him they were inspired to lead healthier lifestyles, with many asking him for advice on travel and marathon destinations and how to escape jet lag. “I have seen people change their lifestyles and have affected at least a few of my colleagues to really start running,” he said. When Iyer runs in smaller cities or outside of large metropolitan areas, the experience can sometimes be different and isolating, as he often realizes he is the only South Asian man running, he said. Having lived only in large metropolitan areas like Chicago and L.A., Iyer said he didn’t know what to expect when he expanded his running destinations into smaller towns. “The experience has been mixed with some small towns rolling out the red carpet for runners and embracing us regardless of how we looked or where we came from, while I have also received somewhat puzzled and baffled looks from bystanders in a couple of very small towns,” he said. But most of the time, Iyer said he gets pumped up by the excitement from the running community and people cheering him on from the sidelines. In the end, it’s that resilience and love that gets him through a tough marathon, he said. “All my allergy issues and sinus headache went away as mysteriously as they started ... and I haven't stopped running since then." Iyer added that he’s not the same person he was eight years ago and attributes the positive changes in his self to running and the people he’s met across the world. “This marathon journey has taught me to stay unperturbed during stressful periods at work and cope with tough challenges with relative calmness, and helped earn friends from several corners of the country and the world,” he said.